Rich with mediaeval villages, historic castles and churches, Catalunya is contrasted with an impressive rocky coastline, dotted with pretty fishing villages, crystal-clear waters and beautiful golden sandy beaches. Steeped in culture and history, Catalunya's traditions date back over thousands of years. This holiday is packed with stunning scenery and a wealth of fascinating historical and cultural discoveries that date back to Greek and Roman times. Your holiday starts and ends in the pretty seafront town of Calella de Palafrugell. From here, you'll head north, via Begur, to Torroella de Montgri and its hilltop 13th century castle with panoramic views across the Emporda plain. You'll continue via the coast and Empuries, where you can visit the Greek and Roman ruins, on to Figueres, the famous birthplace of Salvador Dali. Heading west, we follow undulating roads through deep green meadows and cork forests to the city of Girona with its impressive architecture and great dining choices. Your final stretch takes you along an old narrow gauge railway line, now a Via Verde, which heads down to the coast. Continue on past Platja d'Aro and Calonge to Calella de Palafrugell. 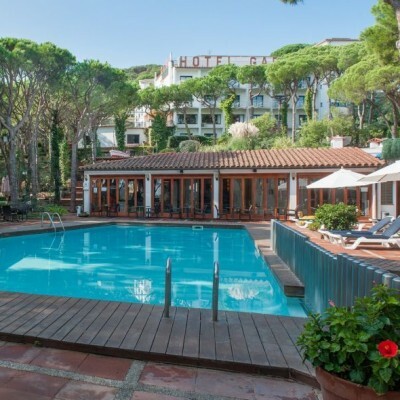 The hotels on this holiday are as varied as the scenery, and include the Hotel Garbi, overlooking the fishing village of Calella de Palafrugell; the contemporary Hotel Moli del Mig; a converted 15th century mill in Torroella de Montgri and two chic town hotels one which has a small pool. 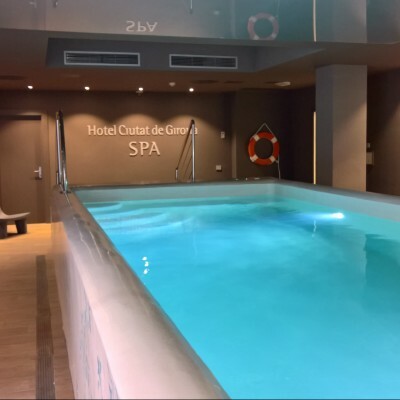 Arrive in Calella and head to the local 'blue flag' beaches or relax by the hotel pool before dinner. We provide plenty of recommendations in Calella for dinner. Today's 'warm-up' ride takes you inland through Palafrugell, then on to Begur with its hilltop mediaeval castle remains and its colonial Cuban-influenced villas, built by locals who emigrated to Cuba and returned once they had made their fortunes. Visit the fabulous sweep of beach at Platja de Pals then continue on to Torroella de Montgri for two nights. RIDE PLUS - 78km / 48mi Head inland through forested roads to the impressive town of La Bisbal d'Emporada, before cycling back towards the coast passing through pretty Peratallada, Pals and Begur with its hilltop castle ruins. Your route then follows the coast, passing the towns of Sa Tuna and Sa Riera before heading to your hotel for the next two nights. Cycle into Torroella and explore the mediaeval centre and walls, originally the Royal Port for the Kings of Aragon, before the River Ter silted up and the port was moved to nearby L'Estartit. You could cycle here for some great beaches or walk up to the C13 fortress, Montgri Castle, set on the top of the Montgri Massif, overlooking the town and the Emporda plain beyond. Follow flat country lanes to the coast at L'Escala and explore the ancient Greek and Roman Empuries ruins. The town was founded in 575 BC by Greek colonists, later occupied by the Romans, then abandoned in the Middle Ages due to its exposed coastal position leaving it open to attack. Cycle on to Castello d'Empuries, with its 1,000-year-old church, Santa Maria de Castello, before continuing on to Figueres. RIDE PLUS - 87km / 54mi Ride down to Estarit on the coast before heading back inland and northwards to L'Escala. Following the coastline with stunning views, pass through a series of towns, including Sant Pere Pescador, before arriving in Roses, one of the prettiest towns on the whole coastline. From here head inland through beautiful countryside to arrive in Figueres for the next two nights. Explore Figueres today. Stroll along La Rambla and discover the old town's mediaeval squares and arches. As the birthplace of Salvador Dali, the Teatre-Museu Gala Salvador Dali, designed by the artist himself, is a must-see. Also visit the C18 Sant Ferran Castle, a large military fortress (the largest monument in Catalunya), built with a pentagonal plan and sophisticated construction techniques for the time. Heading further inland, we follow an undulating route through deep green meadows, cork forests and tiny charming hamlets. Then follow the Rivers Ter and Onyar into the region's capital Girona. RIDE PLUS - 68km / 42mi Today enjoy a long winding road with a back drop of the Pyrenees as you head to the pretty Roman town of Besalu. Here it's worth taking time to explore the cobbled streets and cross the roman bridge, then continue on, circling the Olympic lake at Banyoles and head down into Girona, one of the cycling capitals of Europe, for the next two nights. Explore this stunning city, dating back to pre-Roman times. Walk the city walls for a different perspective of the sights: discover the Placa de la Independencia, the impressive cathedral, the Jewish Quarter and the Onyar River's picturesque bridges and painted houses. A regular fast train can take you to Barcelona for a day in the Catalan capital. Or cycle to Catalunya's largest natural lake 'Estany de Banyoles' the venue for 1992 Olympic rowing events. Ride out of Girona on the Via Verde, an old narrow-gauge railway line that heads, mostly downhill, all the way to the coast. Continue around the coast past Platja d'Aro and Calonge to the seafront town of Calella de Palafrugell. RIDE PLUS - 87km / 54mi Leaving Girona behind head through small towns climbing gently to follow a road with sweeping views of the Emporda plains. Coastal bound you pass through beautiful countryside and small towns, before a climb to Romanya de la Selva. Then pass along the seafront of Sant Antoni de Calonge and Palamos on your way back to Calella de Palafrugel for your last night. The Moli del Mig is a beautiful combination of a converted mill from the 15th Century and a newly constructed modernist building with 19 rooms. 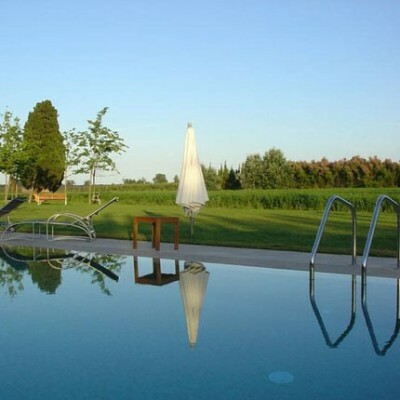 The restaurant with its large windows offers great views across the 7HA of gardens and fields. There is also a garden terrace and pool with children's pool. Room upgrades: Superior, Superior with balcony, Junior Suite or Junior Suite with balcony. 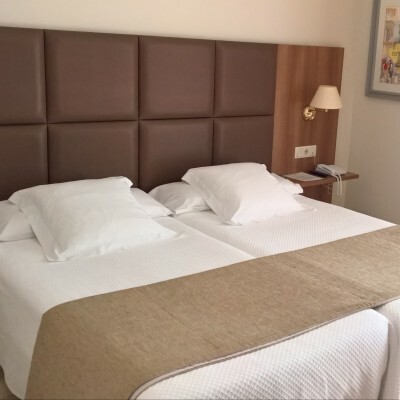 The Hotel Pirineos, originally built in 1961 has been completely renovated in 2016. It has a great location in Figueres just a short walk from the Dali Museum. It has been always run by the Pelegri Family and is now run by Joan Pelegri, the son of the original owners. It's 54 rooms are decorated in a modern airy fashion and feature all mod-cons. 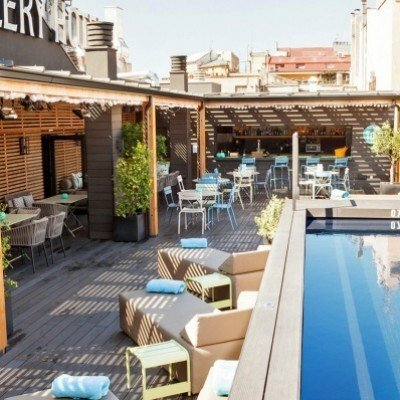 It's on site restaurant offers superb Catalan food, due to its location it is also easy to choose one of the many bars and restaurants in Figueres. Transfers included from Girona train station at 16:18 (16:58 on Saturdays) and back to Girona train station at 11:45. The addition of a fully functional cycling app completely transformed my overall enjoyment of the cycling. So much easier to download map and receive voice activated instructions, also phone holder supplied. Inclusion of trip meter complimented use of app. HW - please include these on all your holidays if possible. Our second time in this region, the hotels are of good standard, clean and very helpful staff. We added additional days at hotel Garbi to enjoy the local area **A visit to the Calau tapas bar is a must in Calella be there for 7:30 ish and you should get a table (July), after 8:30 you may have to wait for an hour +. Only other recommendation for food is La Tasca in Girona. The bus tour in Girona is a bit of a waste of money with minimal information via head phones and spent most of the 2 km trip waiting at pick up and drop off points on the circuit. If you have time a cycle to Pals it is well worth the effort (about 25km round trip) we used the app for the first days cycling towards Begur for directions and turned off to Pals * the road into Pals has cycle lanes. Overall, very enjoyable cycling and in our opinion the first days cycling was the most strenuous after that the rest is reasonably easy for the grade. Every two days from 25th Apr 2019 to 26th Oct 2019, for 8 nights. All dates are subject to availability, please contact us to check. It is possible to hire tandem bikes for this holiday at a supplement of £85 per bike. As these are available on a first come first served basis, we recommend early booking to avoid disappointment. Due to the tailor-made nature of our holidays, we need a little more information in order for us to check availability for Classic Catalan Cycling. Simply complete the form below and a member of our sales team will contact you (when it's most convenient for you) to provide availability information, travel options and an accurate price. Of course there's no obligation, but if you do wish to proceed with a booking they will be on-hand to assist you throughout the process.